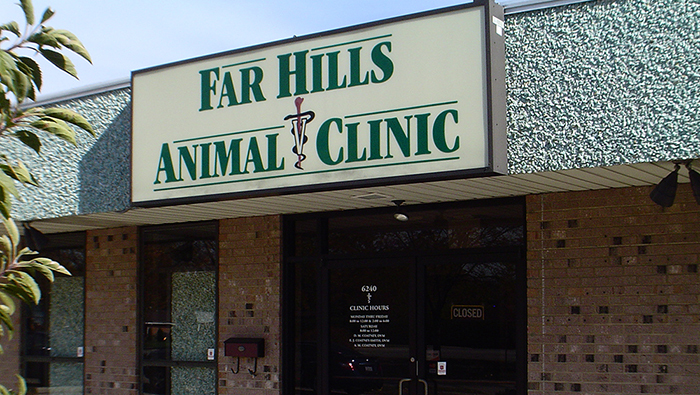 We are a local, family-owned practice dedicated to providing excellent care for your pets. Pet Emergency? Call us right away at (937) 434-8224! If you live in Centerville, Kettering, or the surrounding area and need a trusted veterinarian to care for your pets, please give us a call. We specialize in forging a long-term relationship with our clients and patients, and we hope that our family can help take care of yours for many years to come. *We are open noon - 2 PM, but we can not accept or release patients/boarders during that time. "In just three weeks, Casper has made a huge improvement with his skin issues and he is no longer constantly chewing on and scratching himself. He is playing daily, when he had not been playing in quite a while. Kudos Dr. Emily! I cannot thank you enough, and I look forward to continued treatment. The whole staff is awesome!" "We have seen Dr Adam for the past 4 years for our italian greyhound and also the past year and a half for our greyhound. We are always so impressed with his professionalism, excellent care, and genuine concern for our poochies. He takes his time to explain everything and answer as many questions as we have. His work is consistently top-notch! Also, the staff is consistently friendly and welcoming. It is a great place for pet care; I would recommend it to anyone without hesitation!" "Absolutely wonderful staff and doctors! They are all so welcoming and have such a caring attitude. We have been bringing our gang here for a few months now, including our 8 month old pup who is pretty hyper and excitable. They are always so patient and gentle with him, and they take their time to make sure all of my questions are answered. In comparison to other clinics I have been to, they are definitely affordable as well."